State University of New York Press, 9780791454206, 220pp. This first historical account of the free school movement of the 1960s documents the formation of hundreds of small, independent schools across the United States that marked a turning point in American education. The book revisits and interprets the radical democratic educational vision behind those schools through the works of some of the authors of that time such as John Holt, A. S. Neill, Paul Goodman, and George Dennison. 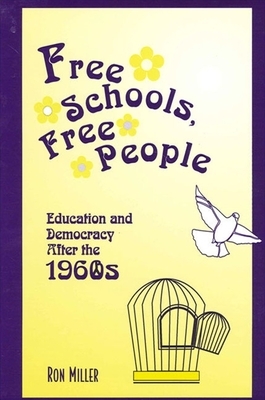 These authors--and the thousands of educators, parents, and young people who took part in the free school movement--passionately advocated for students' intellectual and psychological freedom, and for their autonomy and individuality in a society they saw as increasingly standardized and corporately managed. Although free school ideology was renounced during the conservative restoration of the 1970s and 1980s, and the once popular literature is now largely forgotten, Miller argues that radical educational critique is especially relevant in today's educational climate, in light of the standards movement, high stakes testing, school violence and its suppression, and corporate influence over the curriculum. Ron Miller is President of the Foundation for Educational Renewal and the editor of Educational Freedom for a Democratic Society: A Critique of National Standards, Goals and Curriculum.